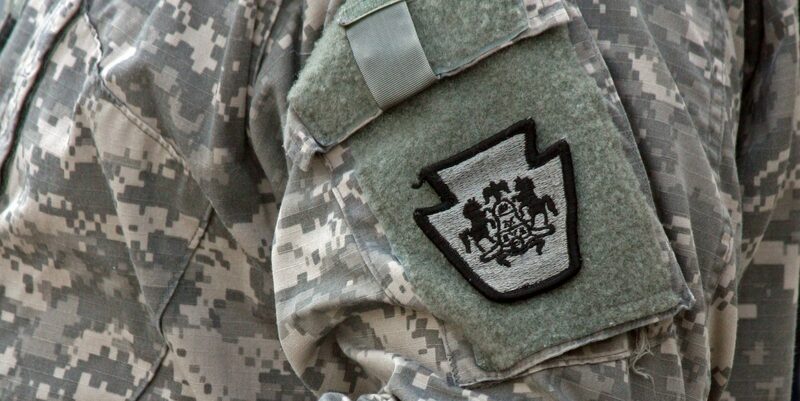 FILE PHOTO: Insignia of Pennsylvania National Guard's 28th Infantry Divsision. The soldiers of the 28th Infantry Division Headquarters stand at attention at a farewell ceremony on January 13th, 2018. (Harrisburg) — Pennsylvania National Guard soldiers deployed to the Middle East may be home in time for Thanksgiving. 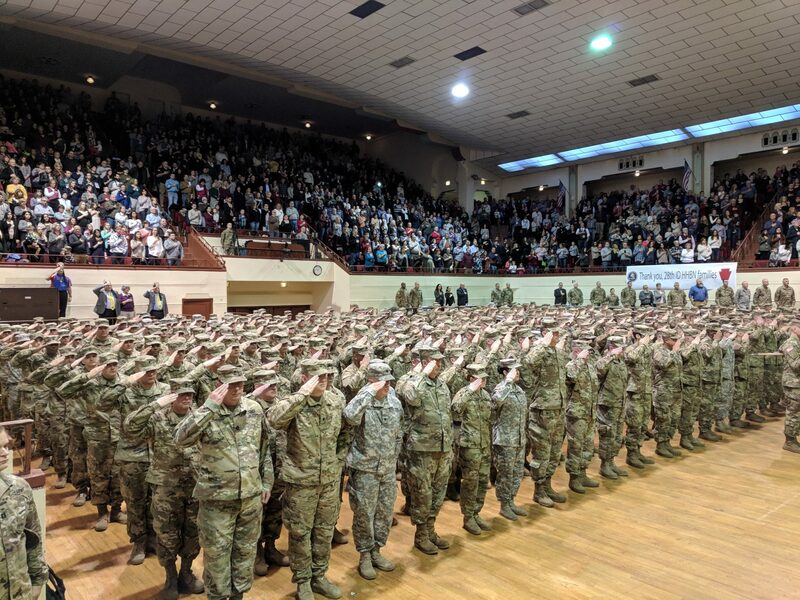 Five hundred soldiers of the Harrisburg-based 28th Infantry Division Headquarters have spent the past nine months in the Middle East, coordinating 10,000 troops as part of Task Force Spartan. Lieutenant General Michael Garrett, Commander of U.S. Army Central, said the work of the 28th has made a lasting difference with partner countries in the region. “You’ve set a new standard for mission accomplishment here, as well as added further luster to the 28th Infantry Division’s already rich history,” Garrett said. The 28th was tasked with improving readiness across 13 Middle Eastern countries, and conducted training exercises in areas such as logistic, aviation, and engineering. The division was only the third National Guard unit to assume the job.